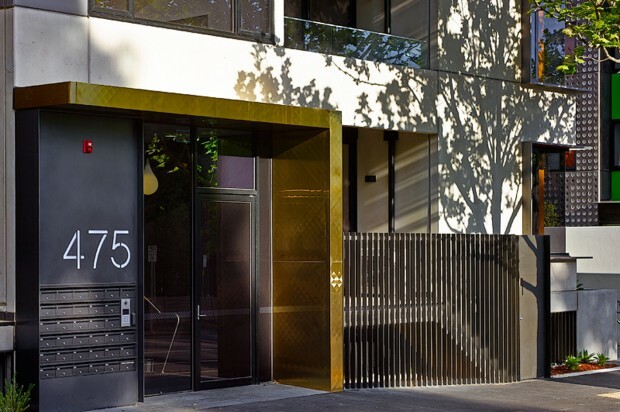 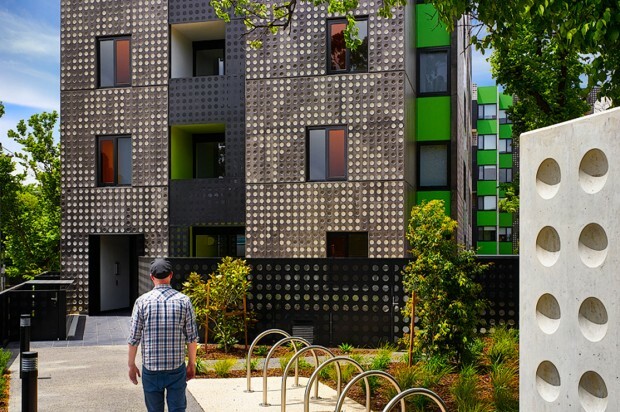 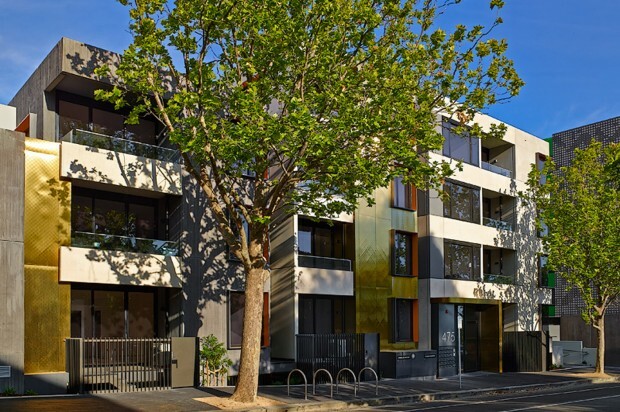 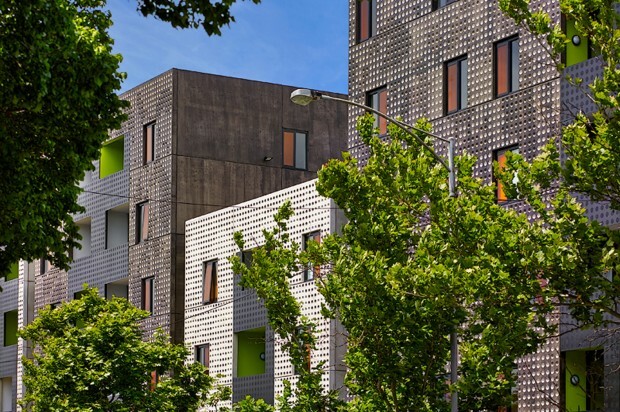 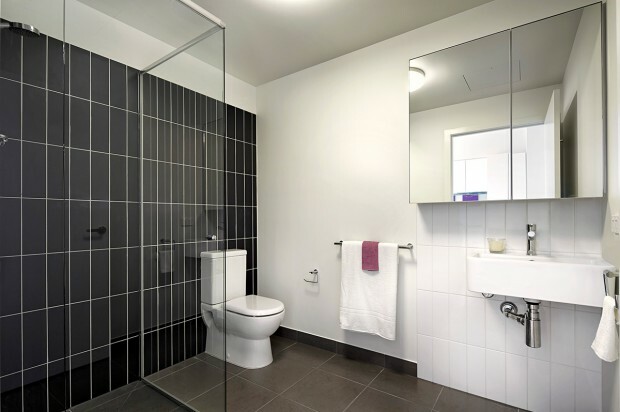 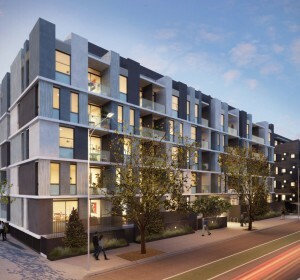 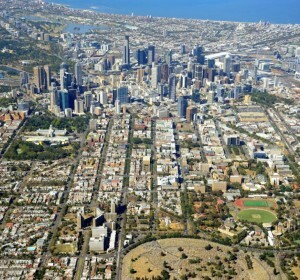 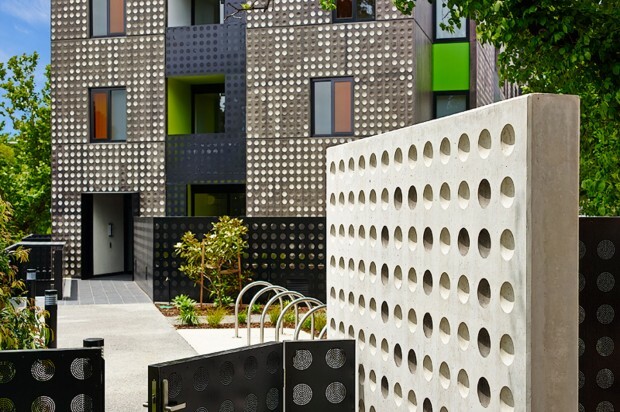 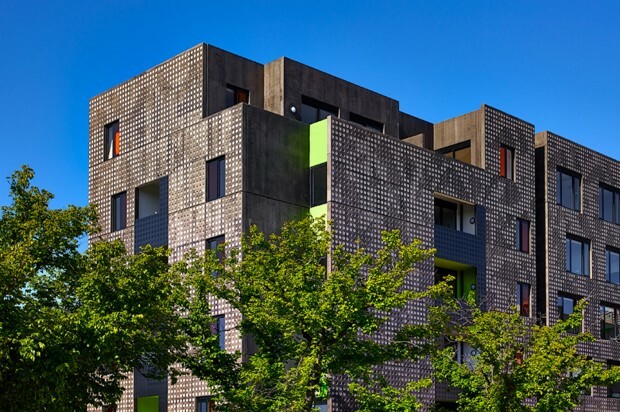 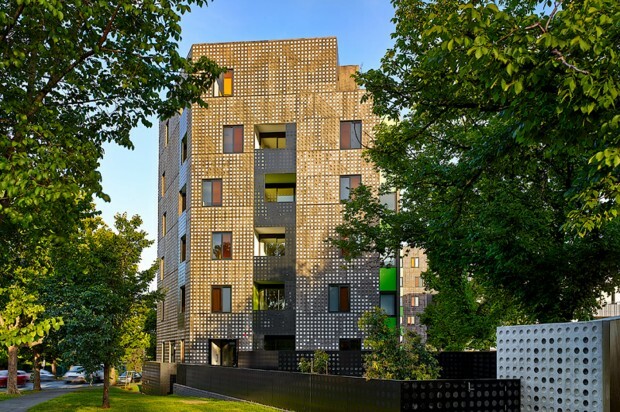 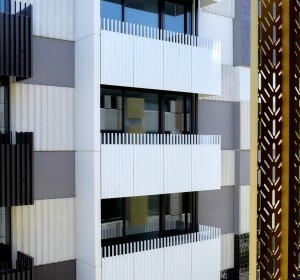 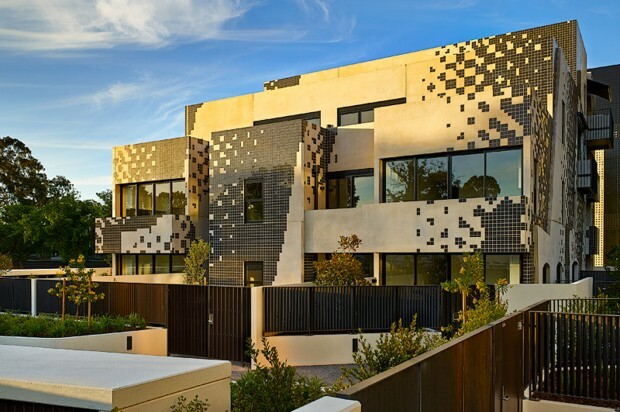 Lume, part of the Living Carlton development, comprises 98 apartments in three buildings, each of which has been designed by a different leading Melbourne architectural practice. 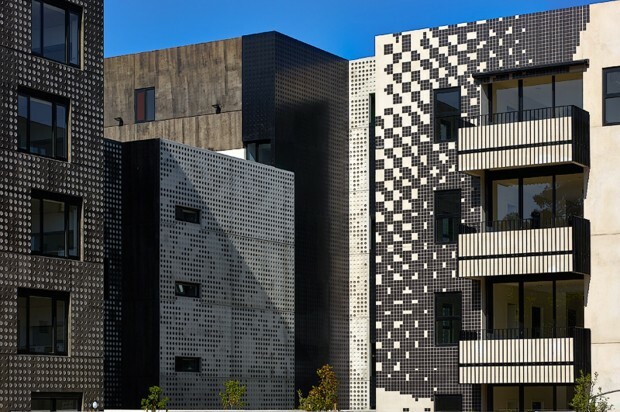 Jackson Architecture, the master plan design architect, coordinated the Lume precinct, with Lovell Chen engaged to provide conservation advice on architectural responses that respect the heritage buildings. 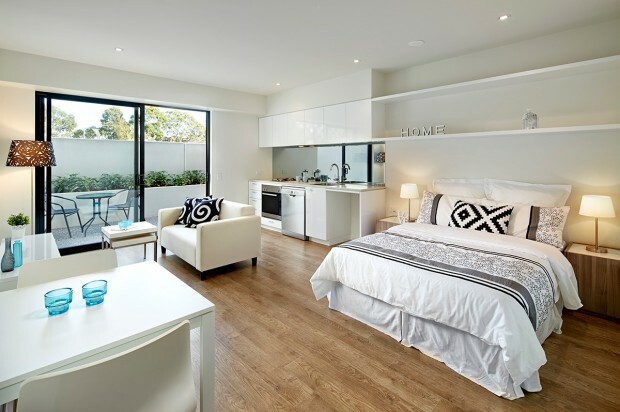 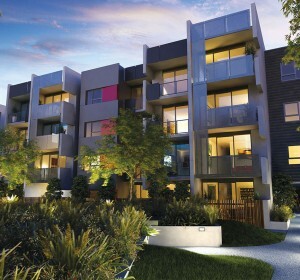 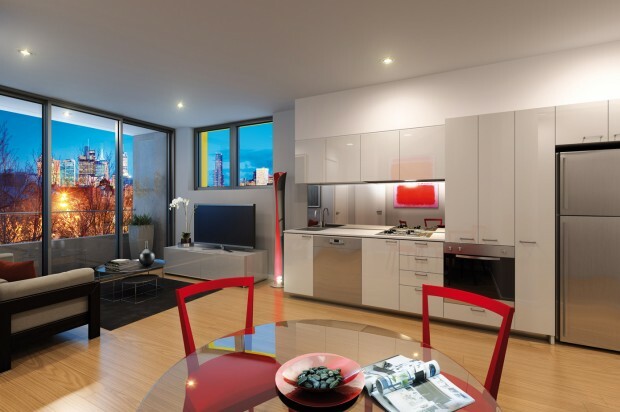 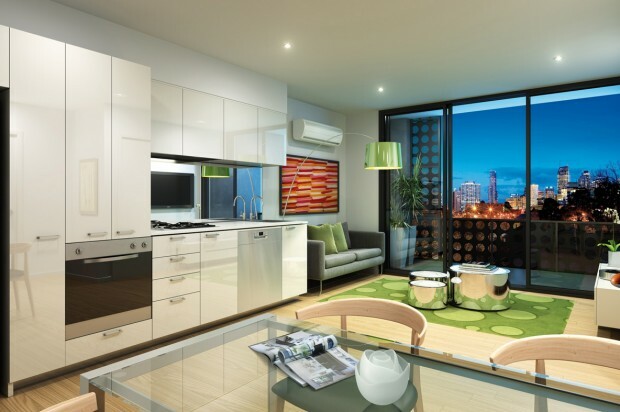 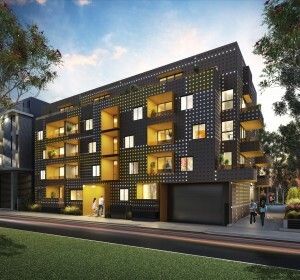 AURA by Fender Katsalidis: Aura is a quality four storey structure made up of one and two bedroom apartments. 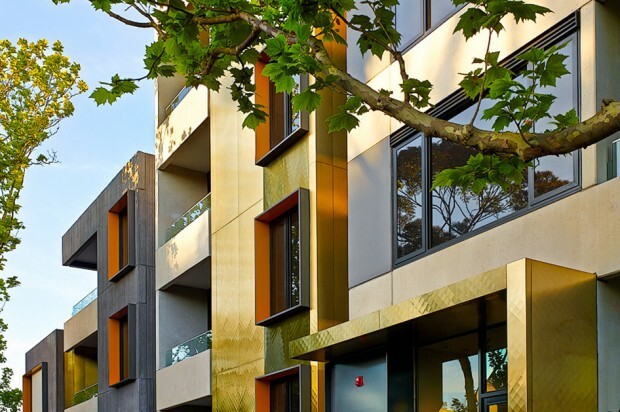 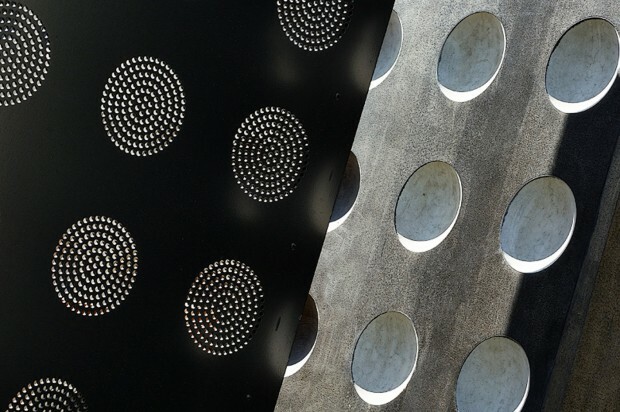 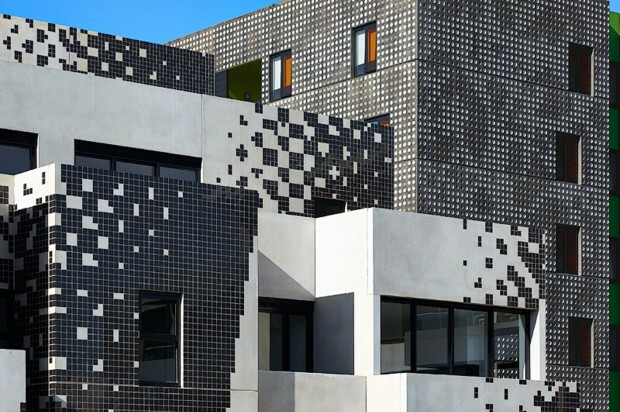 The façade of the building is a collection of richly textured and subtly coloured pre-cast concrete and features jewel-like metallic finishes and defined window detailing. 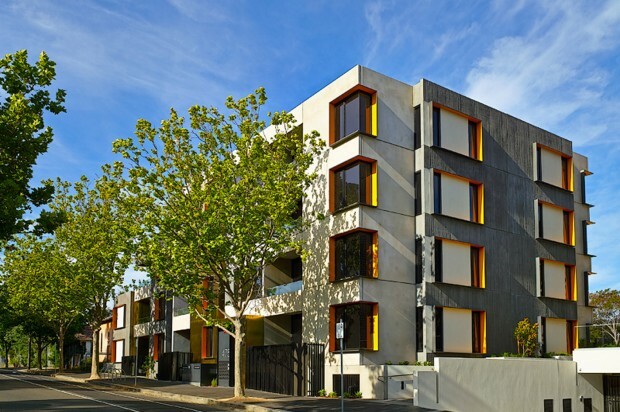 ALLURE by Jackson Clements Burrows: Allure is a six storey structure made up of studio, one, two and three bedroom apartments. 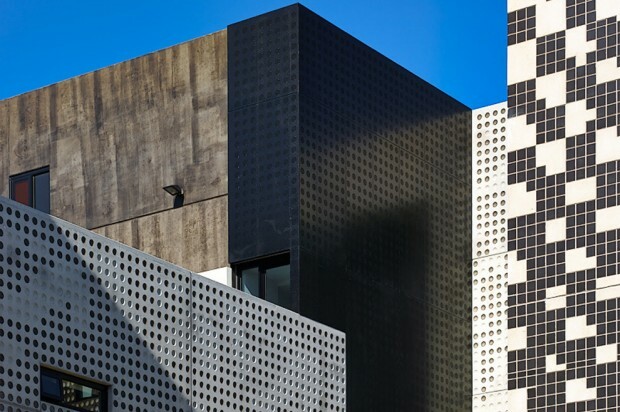 A bold mix of natural and dark coloured concrete is juxtaposed with glimmering slivers of subtle colour. 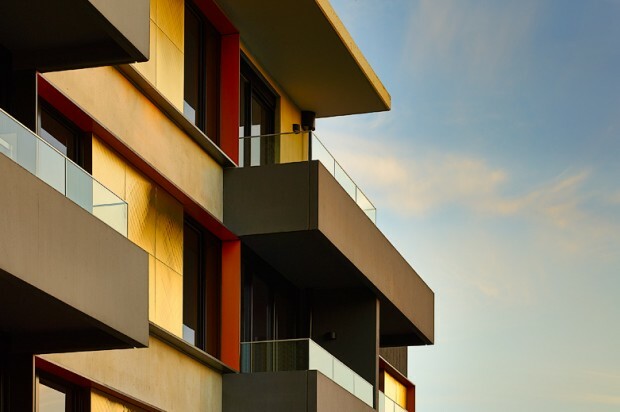 Orange film lines the windows, while green accents on the balconies enliven the design. 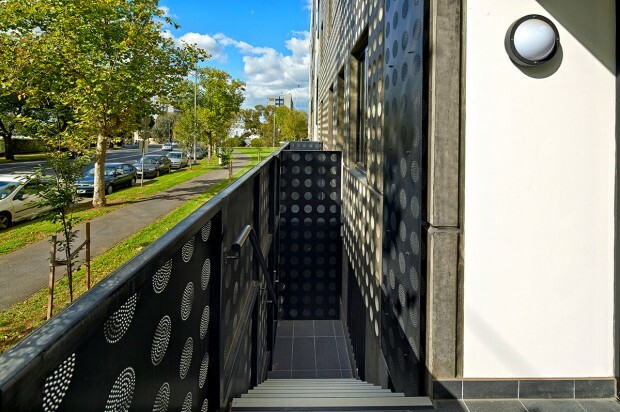 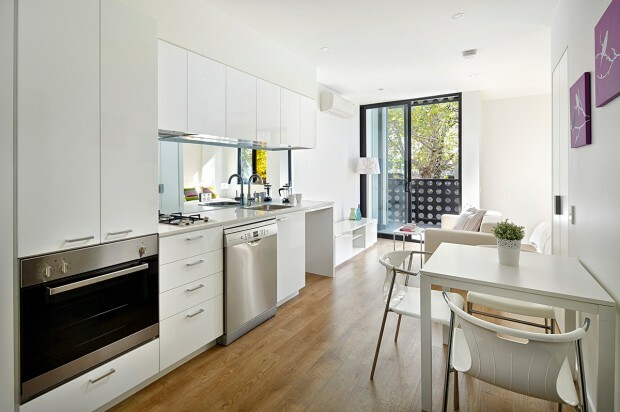 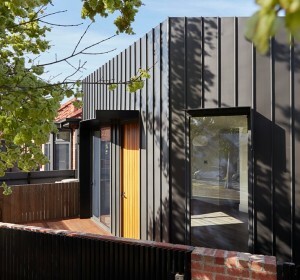 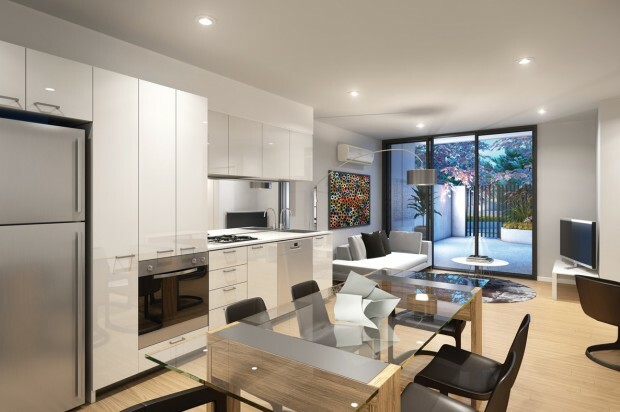 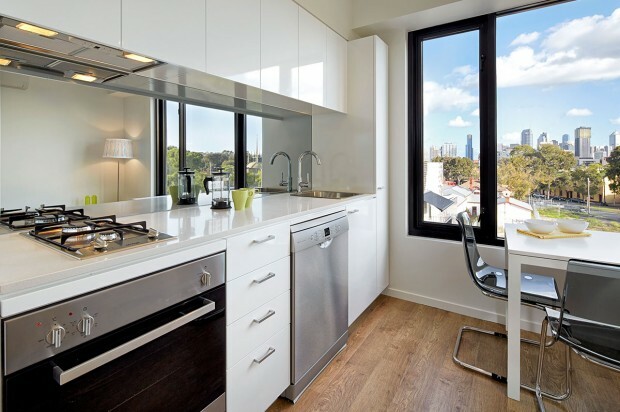 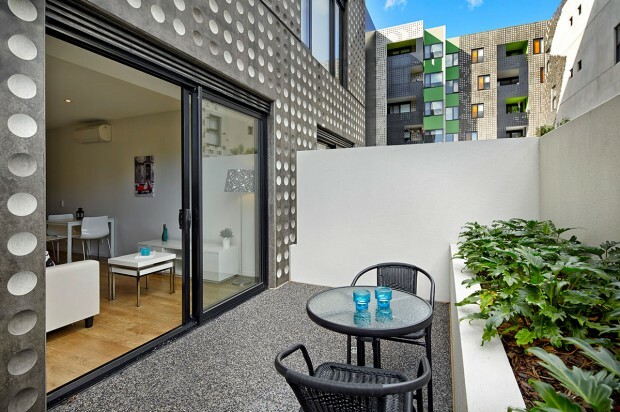 AMBIENT by ARM Architecture: A striking, contemporary building set amidst a series of leafy courtyard gardens, Ambient comprises four storeys with a range of studio, one and two bedroom apartments.